The Pennsylvania Veterans Museum needs your support so it can continue its mission to educate the public of the sacrifices made by American veterans to keep our country free. 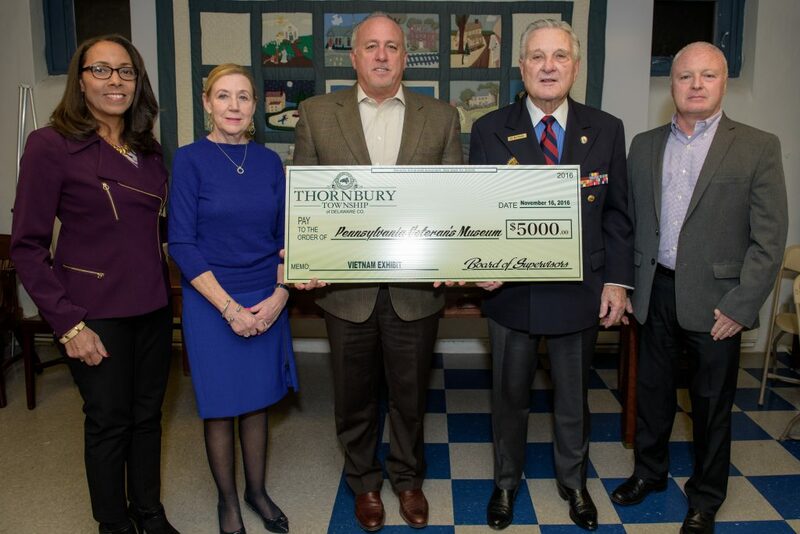 The Pennsylvania Veterans Museum is a 501(c)(3) non-profit organization and is listed as an Educational Improvement Organization under the Pennsylvania Educational Improvement Tax Credit (EITC) Program. This program allows business firms the opportunity to significantly reduce their state tax liability (through a tax credit of up to 90% of donation) by donating to a non-profit educational improvement organization. EITC Guidelines can be found in Appendix I at www.NewPA.com. Please call 610-566-0788 for additional information. Please become a member of the Pennsylvania Veterans Museum, and help us continue our mission to honor the brave men and women who served in the United States military. The yearly membership fee is $100 and includes discounted tickets to Museum events, a Pennsylvania Veterans Museum tee shirt or hat, and an invitation to the Annual Donor’s Party. Each year, the Pennsylvania Veterans Museum hosts a party for Museum members and donors throughout the year. It is our way of thanking everyone who has helped us continue our mission to honor the brave men and women who have fought to keep us free. The party is held at the Museum and is a great event for everyone.